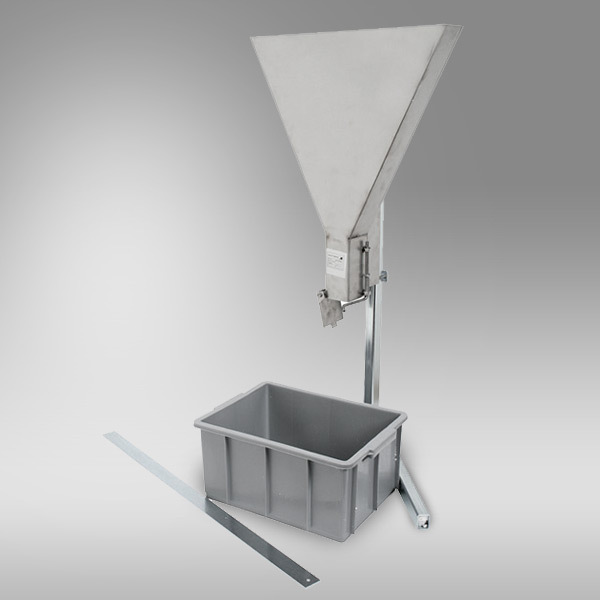 The apparatus consists of a stainless steel V shaped frame fit with a watertight sliding gate and supported by a frame to assure the top funnel horizontal. Stainless steel construction with 10L capacity. Upper edge is smooth and reinforced and the outflow orifice is equipped with seal valve. Includes polyethylene box to collect discharge and 900mm long straight edge to level concrete before test.